In 2019, Cal Poly Extended Education will be launching a coding bootcamp to train future software engineers. This course is the result of an unprecedented partnership between Cal Poly, Fullstack Academy, CodeSLO, and the SLOCOE. If you’re not ready to commit to a full bootcamp program or want to make sure coding is for you before jumping right in, CodeSLO can help. 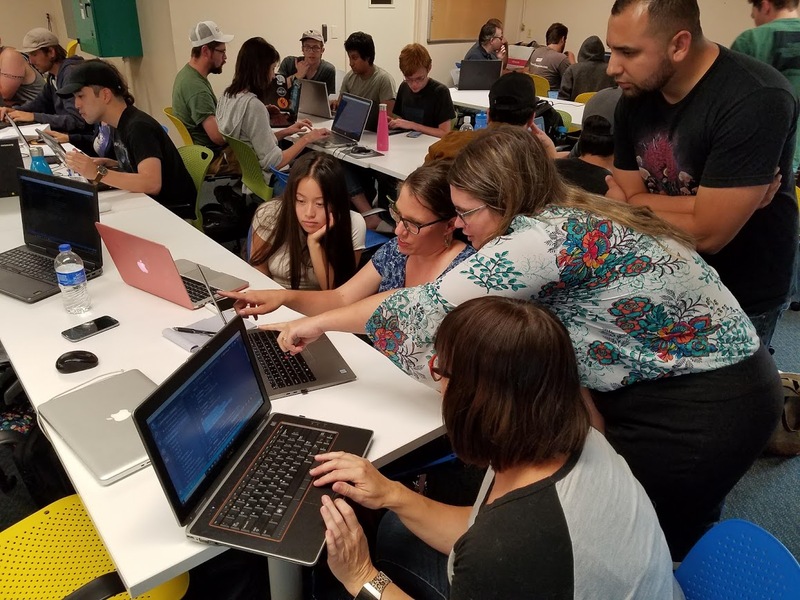 Working in partnership with this new Cal Poly Coding Bootcamp, CodeSLO has put together a six-week intro class that will run Monday-Thursday evenings from February 4th to April 15th. This class will give you a feel for programming and get you ready for coding bootcamp—if you decide it’s for you. Have questions? Come ask them at one of our info sessions. We have one in SLO and one in Atascadero. Please check the box so we know you aren't a robot. CodeSLO is a company dedicated to an inclusive model of coding instruction. Our mission is to make learning to code as accessible as possible for the Central Coast and beyond. We are educational innovators who are unafraid to try new ways to reveal and nurture our student’s talents. Get the latest news from CodeSLO. We never send spam!